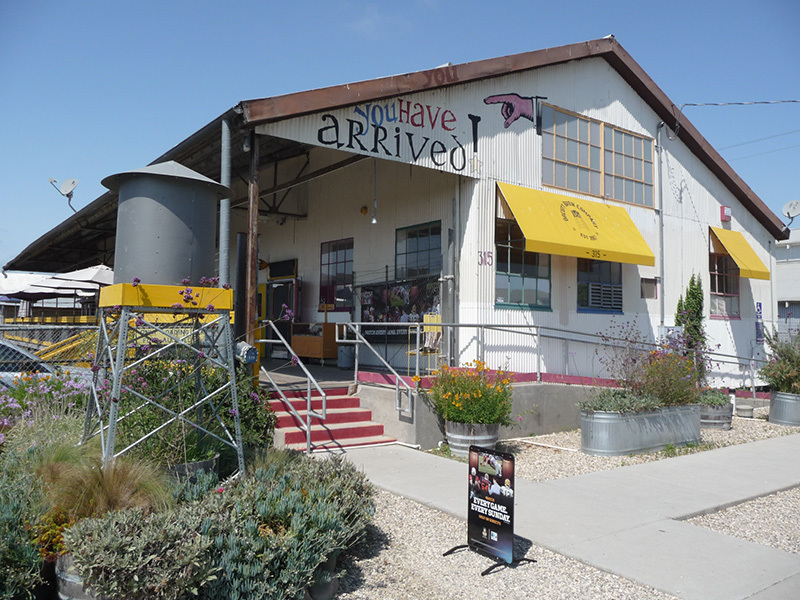 In a former warehouse made of corrugated metal, Orcutt Brew Company is a comfortable, expansive, eclectic, locals place. A long covered wooden loading dock outside runs along the side. Old blue padded booths and black metal mesh tables with red padded chairs are the seating out here. Canvas umbrellas provide additional shade. You get a nice view of the surrounding hills from this area. 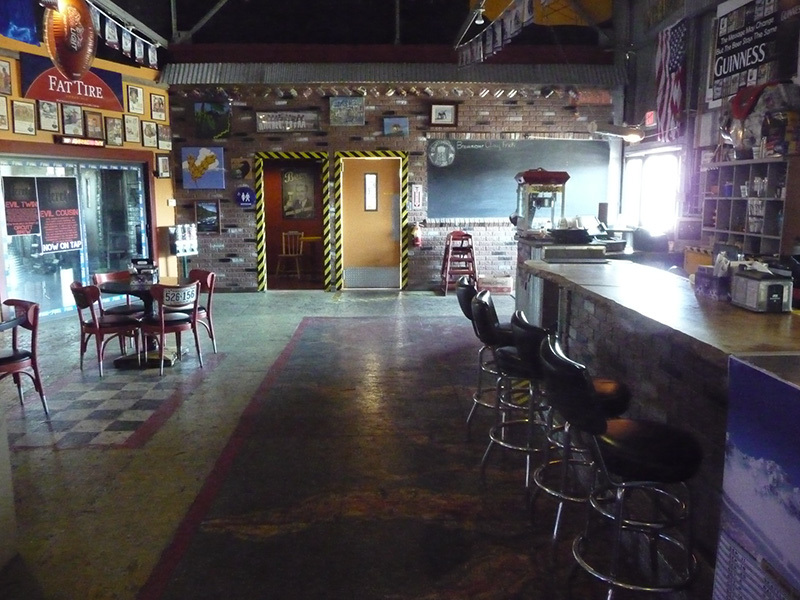 Inside is a large dark cavernous space with an assorted mix of tables, chairs, and couches as well as pool tables. A large projection screen is on one side. 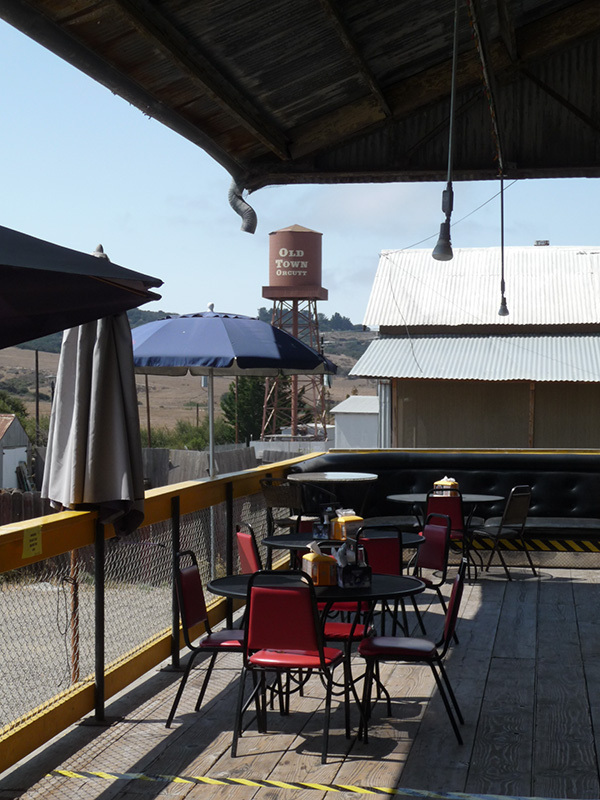 The tiny brewery is visible through windows in one corner. The equipment looks like an elaborate home-brew system. There were no Orcutt brews on tap on our visit. 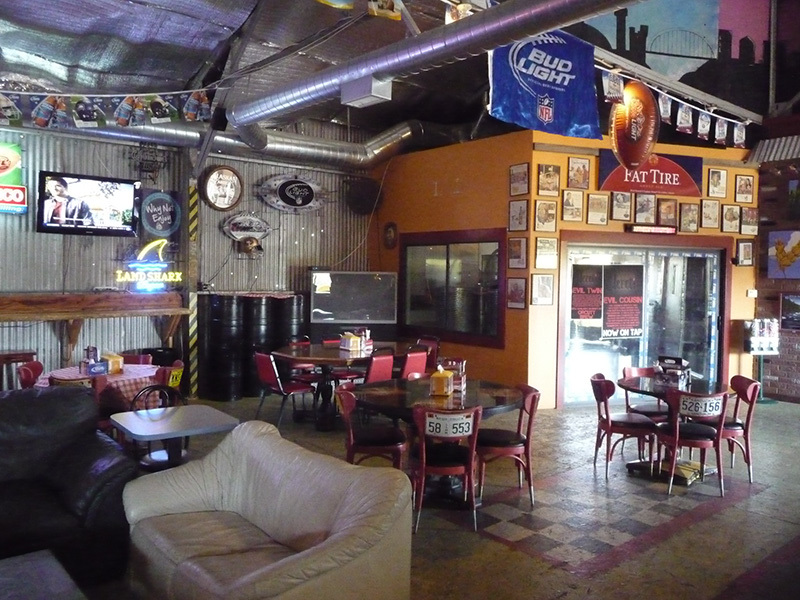 According to the bartender, they are trying to brew in another location but havenâ€™t worked out the regulatory hurdles. However, there was a respectable selection of nine craft beers (and three majors): two from Firestone Walker, two from Heretic, two from New Belgium, and one each from Sam Adams, Speakeasy, and Sierra Nevada.